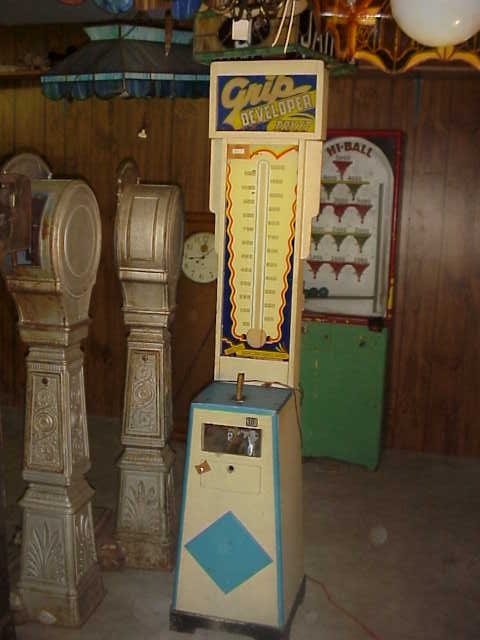 Compete with your family or friends to see “who has the best grip” with this original Exhibit Supply Grip Developer Gripper Machine. 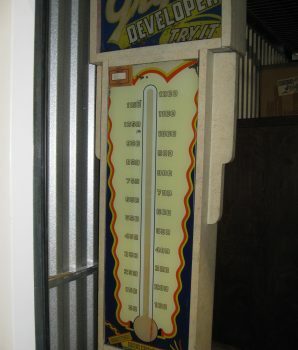 Great penny arcade strength game for your family game room or man cave arcade. 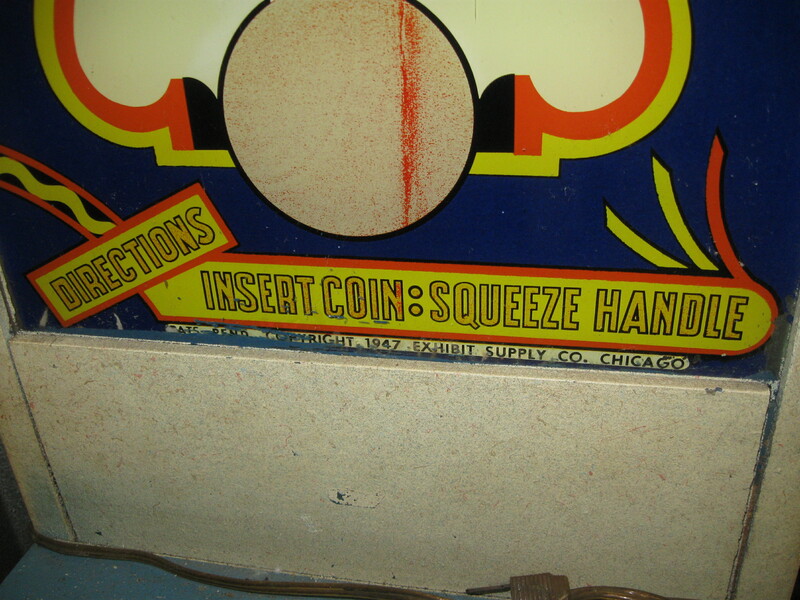 To operate, deposit coin in slide and squeeze handles. 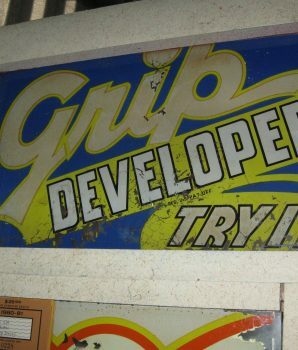 Score 2100 and the Grip Developer bell rings! 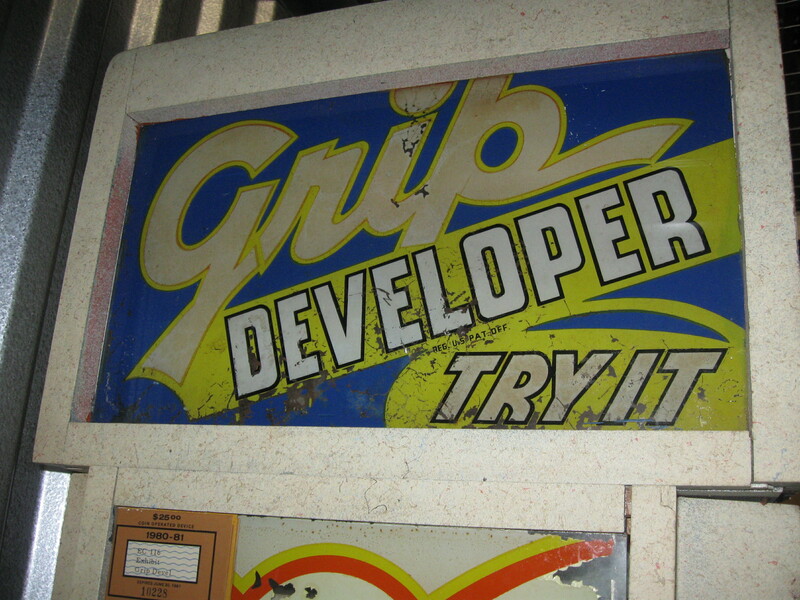 This Grip Developer arcade machine is very hard to find. 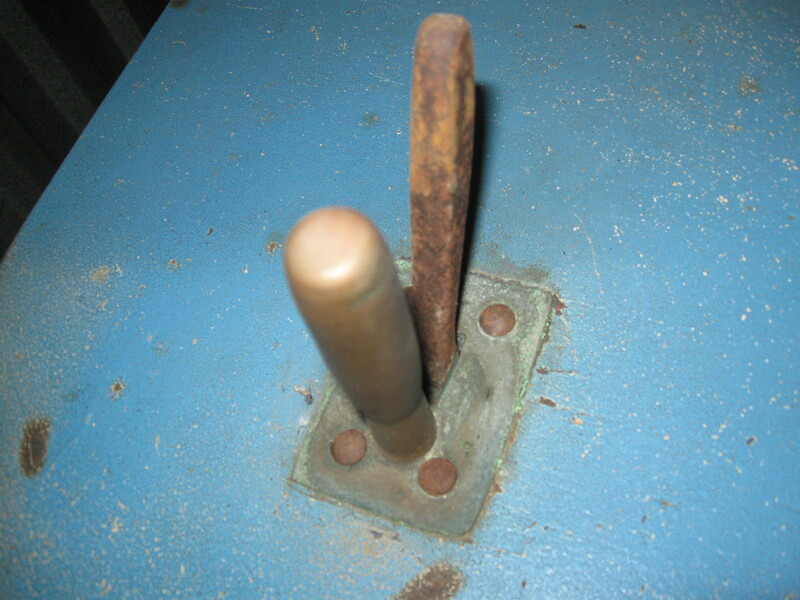 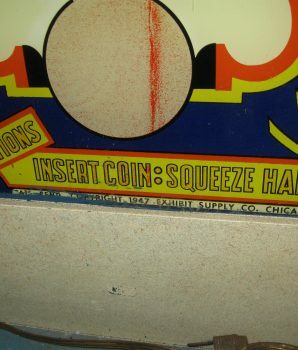 It is missing a small piece of wood on the front for coin push slide. 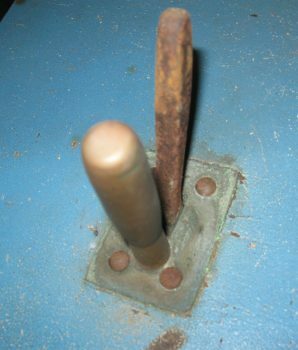 This can easily be replaced. 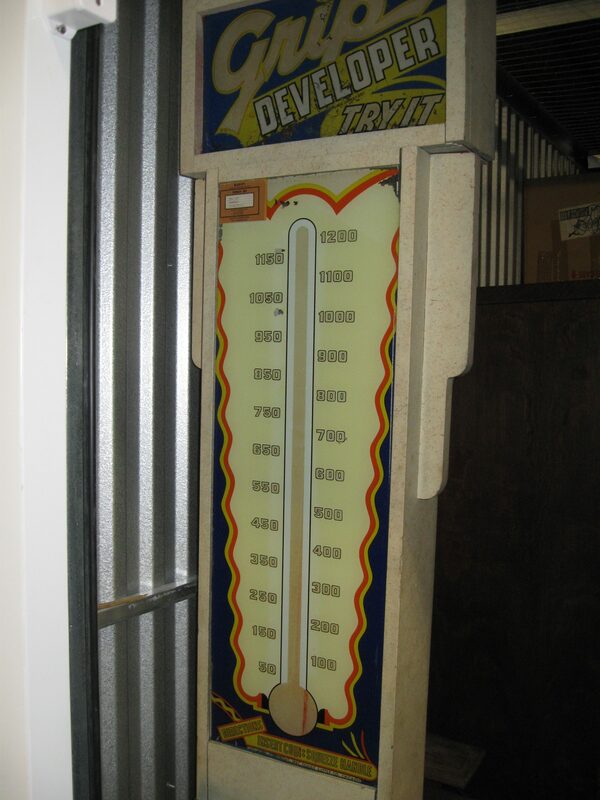 It comes with the coin slide. 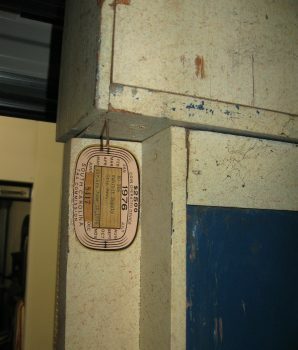 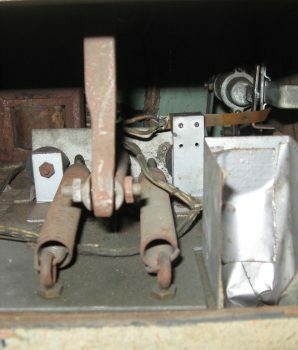 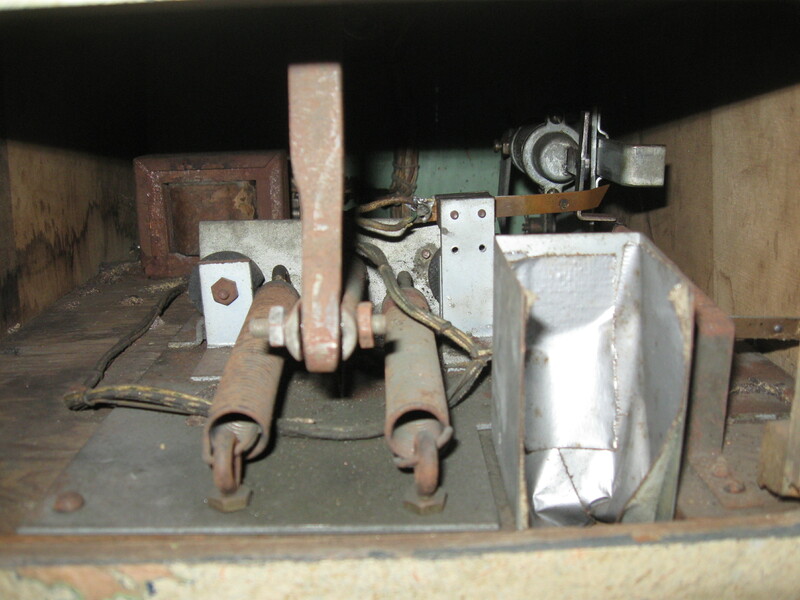 Original and authentic Exhibit Supply strength tester. 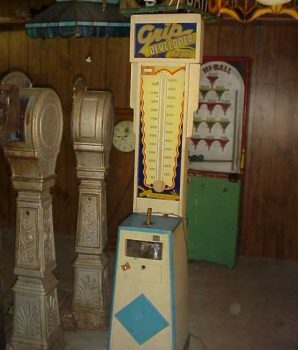 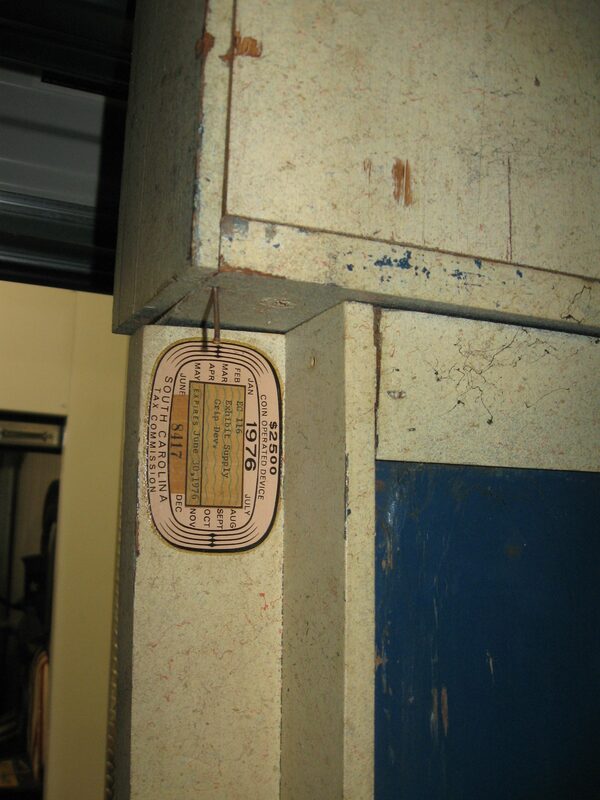 Vintage gripper penny arcade measures approximately: 6′-10″ x 18″ square base.